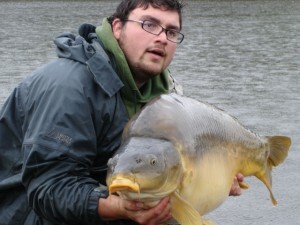 For those that love fishing in France but hate the journey its now so simple and quick just Fly!!! The flight is included in the price! We use Flybe.com Routes flying to Nantes, air travel time approx 1 hour and quick transfer time of around 50 minutes from airport to the lake complex. We collect you in our modern land rover 110 TD5 defenders and transfer you to our carp fishing complex. The benefit of Flying is very quick travel from the UK to France and as we supply virtually everything you require in your swim you can travel extremely light! 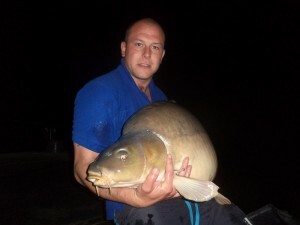 Leave home in UK and have your rods set up and fishing within hours in France the same day! 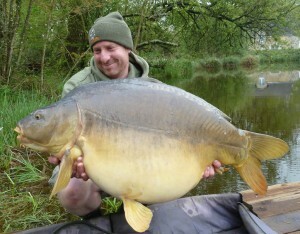 Carp angler John Miller left Devon saturday morning and had a 50+lb mirror on the bank saturday night! Bookings are filling up as people book further and further in advance if you require a particular date best do it sooner rather than later. Which is a fantastic deal! due to the huge amount of regular customers who rebook for following years before going home. So for £599 you get your travel, quality breakfast and fantastic 3 course evening meals, quality equipment, beautiful surroundings, some of the best carp and cat fishing available in France. 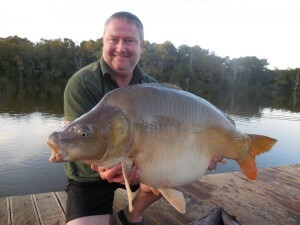 The cost for a non angling guest is £389 plus baggage charges. we really do look forward to meeting you soon! All inclusive Fly/quick travel package including food (Breakfast & 3 Course Meals) £559 including flights! The cost of the all inclusive 2008 fly package is £549 including the flight!